We run two teams in this age group, the U14 A team, and a development team, the Tropics. Training is on a Sunday morning 10.45am – 12.15 and on Thursdays at 6.30-8pm. Lead coach of the U14 boys section is Tom Batchelor. 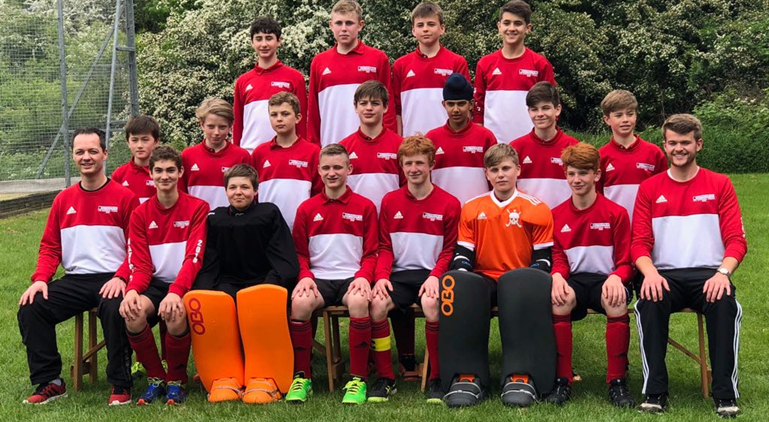 The U14 boys A and the Tropics are entered into the Home Counties Leagues. A team fixtures are below. Additional dates for the A team playoff matches are 10 Mar, 7 Apr and Finals day on 28 Apr. The U14 Boys A team are also entered into the National Cup Competition. Dates are 14 Oct, 4 Nov, 18 Nov, 3 Feb, 17 Feb, 3 Mar, 24 Mar, 11/12 May. Tropics match details are on their own page.